On 01/20/18, Kane County Sheriff’s Office requested assistance in the 2200 block of Jericho Rd with a possible drug overdose. MPD Officers arrived on the scene and located two subjects in the their 40’s overdosed and unconscious in the basement of the duplex. Officers Gray, Jackson, Wells, Klingberg, and Godinho immediately started CPR and used the AED’s on both subjects. Simultaneously they administered NARCAN to both subjects and eventually saved their lives. Both subjects were transported to the Hospital and admitted for drug abuse treatment. On 11/28/17, at 1803hrs, Ofc. Tony Hull observed what appeared to be a hit and run/road rage incident where one vehicle was following another honking at it. He located the suspect vehicle near the Montgomery Power Wash where he activated his squad lights and stopped in front of it. As he attempted to get the driver to exit the vehicle, the driver ignored his commands and proceeded to attempt to drive forward and backward continuously hitting the building. There was also a female passenger in the vehicle who continually yelled at the driver to stop. Ofc. Hull attempted to remove the driver from the vehicle and was nearly caught between the door of the vehicle and the building as the driver pulled away. The driver eventually sped away and drove into another building before crashing into a ravine behind the Salvation Army. He observed sparks coming from the vehicle then become engulfed in flames. He grabbed his fire extinguisher and attempted to put out the fire. The passenger was able to exit the vehicle but the driver refused to leave. Oswego and Kendall County then arrived on scene and they were able to remove the driver from the engulfed vehicle. We would like to nominate Ofc. Hull for the Valor Award for courage in the face of danger. Congratulations to Officer J. Fritz #54, A. Bertellotti #47, R. Kaleta #56, and Sgt. Mayyou #51 who have been chosen as the employees of the quarter for the fourth quarter of 2016. On 11/01/16, at 0748hrs, our officers responded to 821 Victoria Drive, Apt. 821, (report #16-2530) for a caller reporting he could hear a female screaming from an apartment. Dispatch advised a female from that apartment then called advising someone was bleeding in the apartment and she was in a closet with a knife. Her boyfriend was in the living room and had hit her in the head with a bat or similar object. Officers knocked on the door and nobody would open it even though they could hear someone inside. Dispatch advised the caller was still on the phone in the closet and observed the suspect now with a knife. Officers cleared the nearby apartments as additional officers arrived on scene. MPD officers, aided by Kane County, then made entry in the residence. The suspect was located in a small hallway with a large amount of blood around his body and a knife nearby. He was treated on scene transported to Copley where he was treated for several stab wounds which he inflicted on himself. The female victim, and caller, was located in the closet with wounds and lacerations to her arm, head, shoulder, and leg. She advised she was asleep when the suspect attacked her and hit her with a bat type weapon. She hid in the closet to get away from him and called 911. She was also treated on scene and then transported to Mercy Hospital. The suspect was charged with felony aggravated domestic battery. Both the suspect and victim and suspect survived from their wounds. The officer’s actions also reinforce our Mission Statement in that they are committed to protecting and serving the residents of the Village. Their actions helped ensure a favorable outcome to this tragic incident. We would like to congratulate the following officers as employees of the quarter for the 2nd and 3rd quarters of 2016. The officers listed above responded to a burglar alarm at “Smoke Plus” at 2079 Orchard Road, on 10/17/16 at 0201hrs. After being advised of the burglar alarm, Sgt. Mayyou #51 coordinated officers Novak #52, Godhino #64, Hull #60, Jackson #61, McCullough #62 to respond to the business and to different strategic locations in an attempt to locate possible suspects. Ultimately, Ofc. Novak and Godhino located the suspect on the bike path behind the business. The suspect was detained and admitted to burglarizing the business. Det. Sgt. Ricedorf #49 interviewed the suspect who admitted to the burglary and also breaking into the business on three previous occasions. The suspect also provided names of accomplices on the other burglaries which resulted in multiple charges and multiple arrests. The prompt thinking and coordination of personnel assisted in the successfully locating and charging the burglary suspects. All officers communicated well to ensure this case was properly handled. Their work efforts helped identify and remove a habitual burglar from further detrimental activity in our town. Sergeant Liz Palko and Management Analyst Ada Rippinger coordinated the third annual “Halloween Safety Event” at our police department. On Sunday, October 23rd from 10 am until 2 pm, the Montgomery Police Department welcomed visitors to the grounds of the police department for an exciting Halloween Safety Event. This year over 600 child participants were in attendance, not including their parents and other family members. Attendees were greeted by several officers dressed in costumes as well as an abundance of local residents who volunteered their time and really got into the Halloween Spirit. We appreciate all of the area businesses who sponsored this event by donating items because without these sponsors and their overly generous donations this event would have not been possible. The following businesses donated items: United Facilities North, Performance Foodservice, Eby-Brown, Wal Mart, Starbucks, Ron Westphal Chevrolet, Engineering Enterprises Incorporated, La Chiquita, Jewel, Colonial Café, Chilis, TGI Fridays, Goodrich Kendall 10 Movie Theater, NCG Yorkville Cinemas, Aurora University, Parkside Lanes, Aurora Skate, Heaps Giant Pumpkin Farm, Rotary Club of Montgomery, McDonalds, Sam’s Club, Lakewood Creek HSO, Montgomery Fire Department, Crown Trophy, Heitkotter, Ty Company, Oriental Trading, Chik-Fil-A, and Peaceable Kingdom. Several local residents contributed prizes and games for this event. Thank you to all officers and families who came out and had a part in making this event a great success! The Halloween Safety Event strengthened our community relations and helped build stronger partnerships in the Village. Congratulations to Detective Villa who has been selected as the employee of the quarter for the first quarter (Jan-Mar) of 2016. An email was received from a motorist who dealt with Det. Villa twice in the same day. Det. Villa’s professionalism and compassion are to be commended and we thank him for putting the MPD in a positive light. 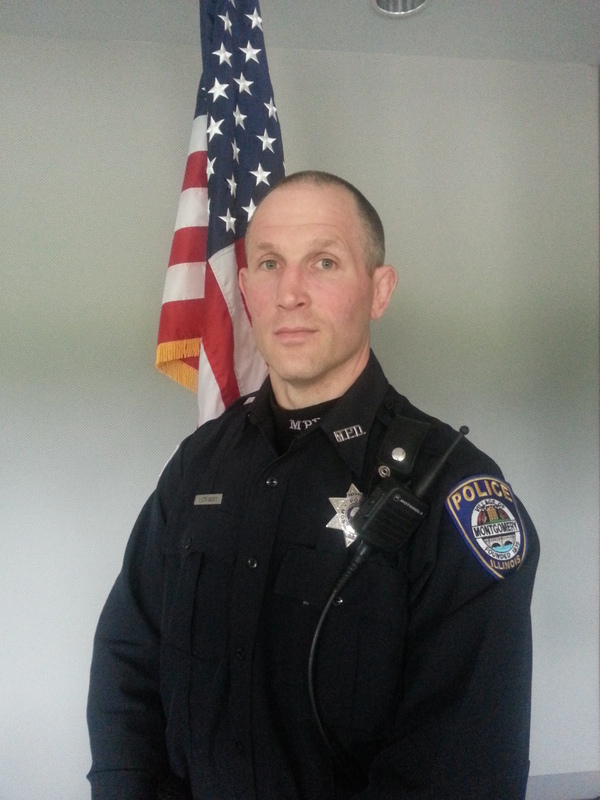 Congratulations to Acting Sergeant Jason Stransky #57, who was selected as the Employee of the Quarter for the first quarter of 2013! Acting Sergeant Stransky is a veteran of the department who displays a professional demeanor to the public and keeps his composure during high stress incidents. A/Sgt. Stransky has been the acting Sergeant on midnight shift since December of last year. This is his second time as Acting Sergeant for our department. A/Sgt. Stransky has been acknowledged by his fellow employees for his professionalism and action during a fatal hit and run accident on 02/27/13. A/Sgt. Stransky arrived on scene and assisted other officers with providing medical attention to a subject that was struck by a vehicle. He also secured the scene, coordinated an ISPERN, contacted KCART for an accident reconstruction, and coordinated canvasses for witnesses and surveillance video. The suspect was later identified and located. A/Sgt. Stransky is also a Lead FTO, Range Instructor, and a member of ILEAS (Illinois Law Enforcement Alarm System) Mobile Field Force (Region III North). Please assist us in congratulating Acting Sergeant Stransky #57 as the Employee of the Quarter for the 1st Quarter of 2013! 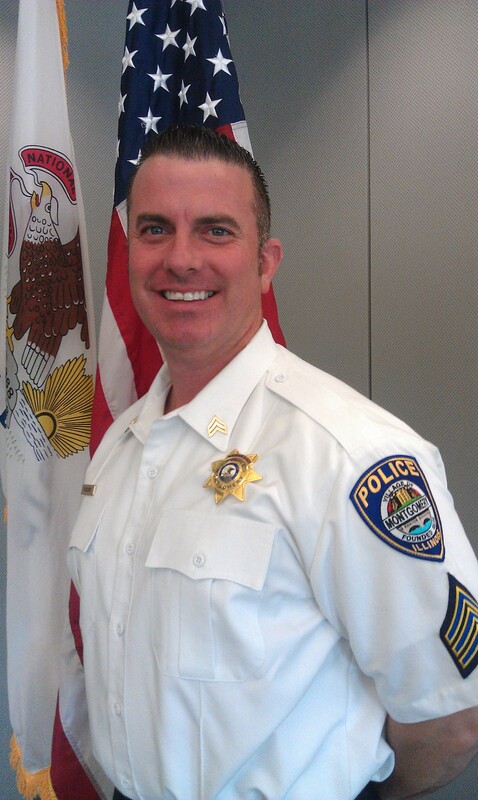 Congratulations to Detective Sergeant Jeff Ricedorf #49 who was selected as the Employee of the Quarter for the fourth quarter of 2012! Det. Sgt. Ricedorf has worked diligently in our Investigations Department with no additional personnel to assist him. He has kept a positive work attitude and has assisted with Patrol coverage as well. His tireless work efforts have helped us solve several key cases, while prioritizing and maintaining his case load. 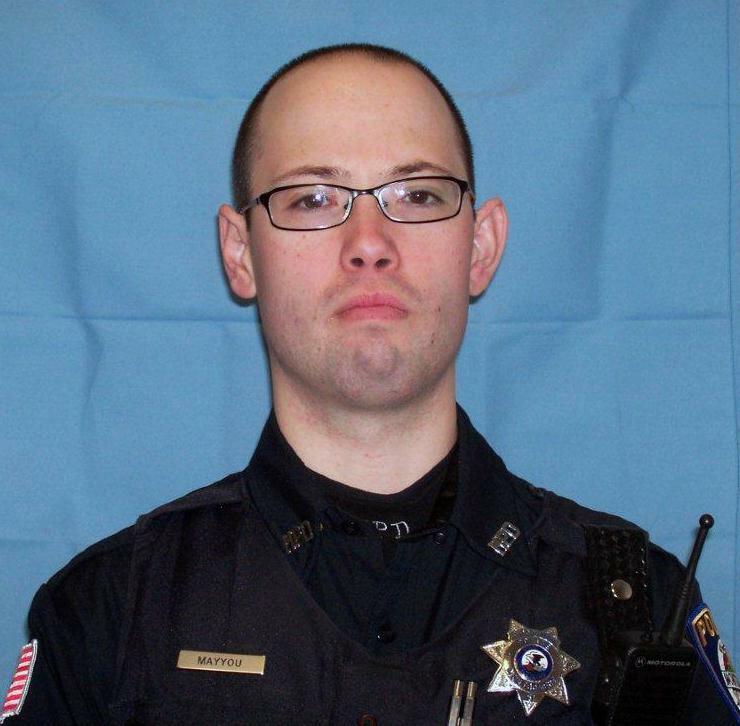 Congratulations to Officer Robert Kaleta #56 who was selected as the Employee of the Quarter for the third quarter of 2012. Officer Kaleta demonstrated a proactive approach to policing the business district along Douglas Road by interacting with the business owners and fostering positive relationships. Officer Kaleta shared the concerns of the business owners as well as the information he obtained with his co-workers which allowed the entire Montgomery Police Department to work together to address the necessary issues. Congratulations to Ofc. Randy Podschweit #84, and Dispatchers Donna Hogle #10 and Jenny Rizo #72 as employees of the Quarter for the 2nd Quarter of 2012. On June 24th of this year we received a 911 call for an unresponsive child found at the bottom of a pool. All of their expedited responses directly help save the precious life of this child. 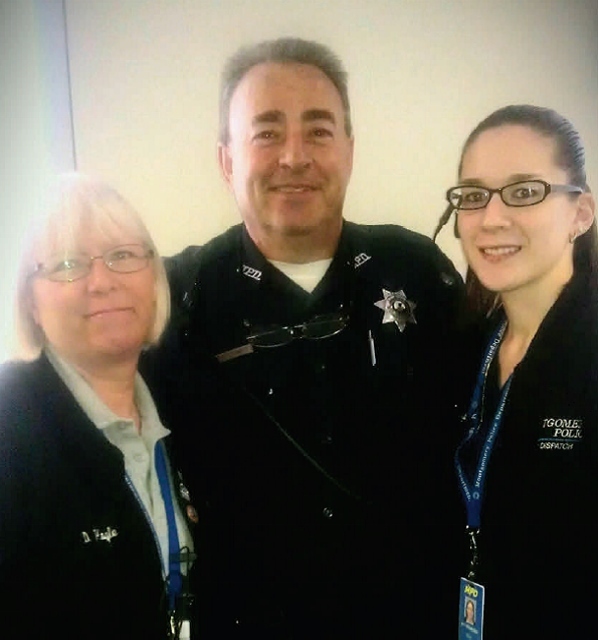 Dispatchers Hogle and Rizo initially received the 911 call at our dispatch center. Their combined efforts assisted in expediting the response of EMS and Police to the residence. They remained calm and performed their jobs well under pressure and assistance arrived in under 4 minutes. Ofc. Podschweit immediately responded to the address to offer assistance. He arrived on scene and administered life-saving CPR without hesitation. He maintained his composure and offered assistance until medics arrived. We wanted to say thank you for doing a fantastic job on this call. Congratulations to Ofc. Jon Fritz #54 for being selected as the MPD Employee of the Quarter (Jan-Mar) 2012. Ofc. Fritz received multiple nominations for his dedication and hard work in his traffic enforcement and education efforts. Ofc. Fritz’s involvement and enthusiasm is appreciated and benefits all patrol officers. Listed below are a few of the items Ofc. Fritz has completed in the first quarter of 2012. Counted and observed traffic patterns in heavy traffic flow areas of the Village. He has developed and maintained the relationships with other organizations, such as AAA Motor Club. He remains in contact with them for future joint projects. He has assisted in developing the Traffic Division and Citizen Traffic Complaint Form on the Village website. He has coordinated the monthly Traffic Training scenarios for the department. He sends out a training question which requires responses from the officers. He then sends out the correct answer using the ILCS and other pertinent resources. He is one of the driving forces behind the new MPD department bi-monthly newsletter titled, “MPD Traffic Flow.” He also incorporates a “Traffic Trivia” question for all to think about and answer. . He helps determine the strategic location of the mobile radar trailer throughout the Village. 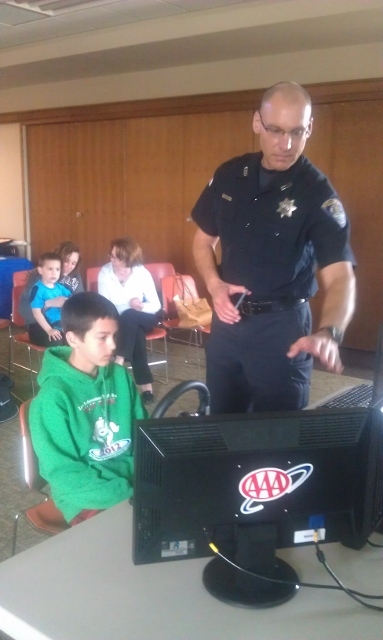 He assisted in the first driving simulator presentation at the Oswego Public Library – Montgomery Campus. This presentation was in conjunction with AAA. He spoke with representatives from local media regarding our traffic and education efforts at the Oswego Library Presentation. He has spoken with Village civilian personnel to map and mark locations throughout the Village. He has secured promotional items from IDOT to increase public education for the motoring public. He has coordinated our Memorial Day Click It or Ticket campaign. Ofc. Fritz has used his expertise in traffic and shared it with the entire department. His work has helped further educate our entire department and benefitted the Village of Montgomery. Please congratulate Ofc. Mayyou #51 as the MPD Employee of the Quarter for Oct-Dec 2011. Ofc. Mayyou #51 is an extremely attentive employee who recognized our Department needs for updated and revised reports. He took it upon himself to do this and used his technological expertise to assist all department members. Ofc. Mayyou #51 then reorganized the updated reports in the report writing room. He alphabetized and labeled the shelves with the updated forms. He eliminated the outdated forms and helped determine what was really needed. Ofc. Mayyou #51 did all of this without being prompted to do so. He has also helped dispatch updating reports and is willing to help other departments do the same. Ofc. Mayyou continues to update our forms in this on-going process which benefits all of us.